Memorial Day weekend starts tomorrow. This one of the many reasons why we are eager to finish unpacking the STOK grills we have in the RainyDay office. 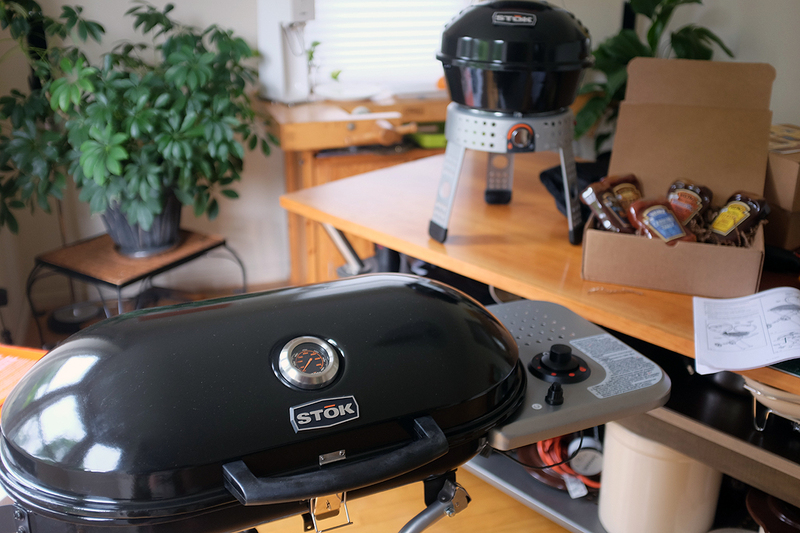 We unpacked and set up the STOK Tourist portable grill at the beginning of the week. 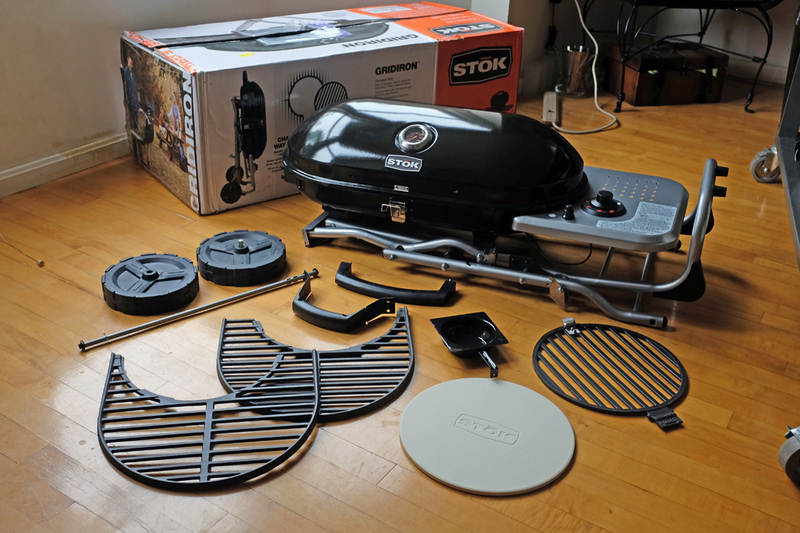 Today we are going to put together the STOK Gridiron gas grill. The box the STOK was shipped in arrived a bit beaten up. There were some gouges and bulging on the side of the box. We think it was bounced around a little during transit, causing some things to shift inside. When we opened the box we noticed that some of the protective styrofoam pieces had moved, but the top of the grill was undamaged. 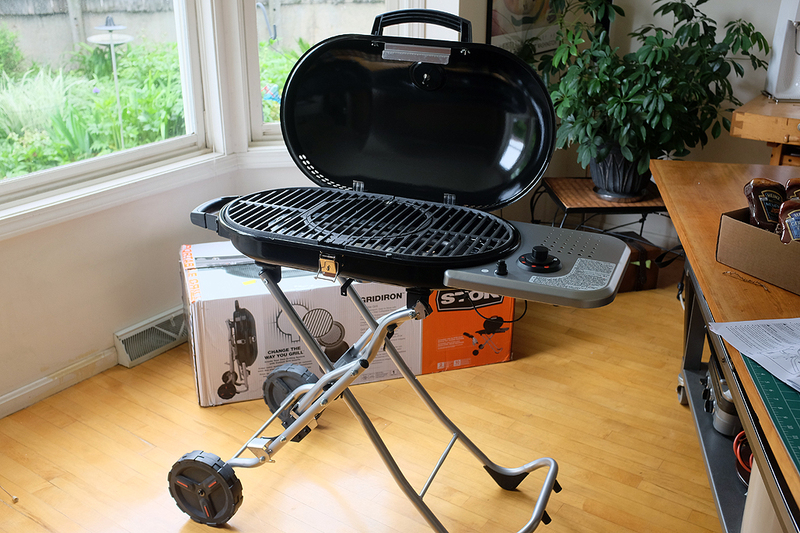 We took the grill and its parts out of the box to make sure nothing broke during shipping. Getting everything out was not difficult. The main unit lifted out in one piece and the loose parts (wheels, handles, etc) were well-packed in boxes. After looking everything over, it was clear the protective foams and boxes did their job as nothing was damaged. NOTE: The only tool required was a Philips-tipped screwdriver. Note the up/down sides of the handle before installing. The side with the slots is the side that should face down. The pieces (screw, locking washer, flat washer) for attaching the handle were on the body of the grill already. Tighten until the locking washer is flat. The steps for installing the axle and the wheels were a little more involved, but still straightforward. 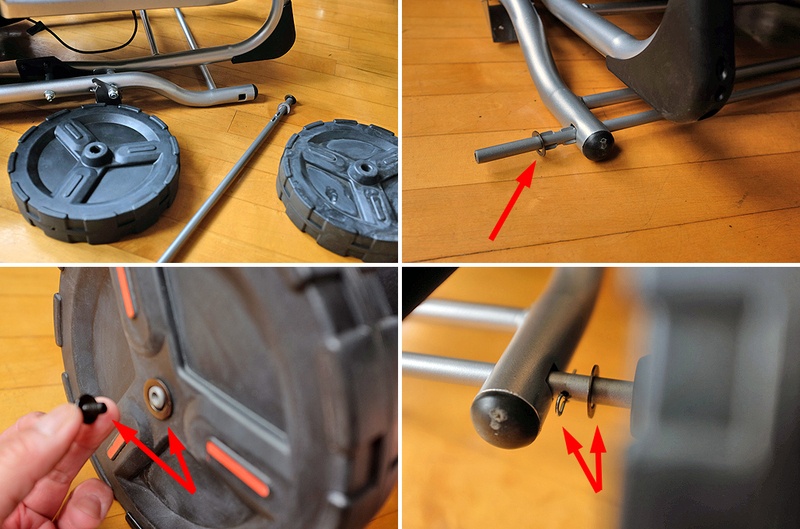 The main thing to note is that after inserting the axle, all the pieces (washers, wheel, washer, screw) go on to the axle on the outside of the frame (see red arrows) (i.e., between the frame and the wheel). The same goes for the side with the locking pin (pin, washer, wheel, washer, screw). With the external pieces attached, the STOK Gridiron is ready for the grill plates. 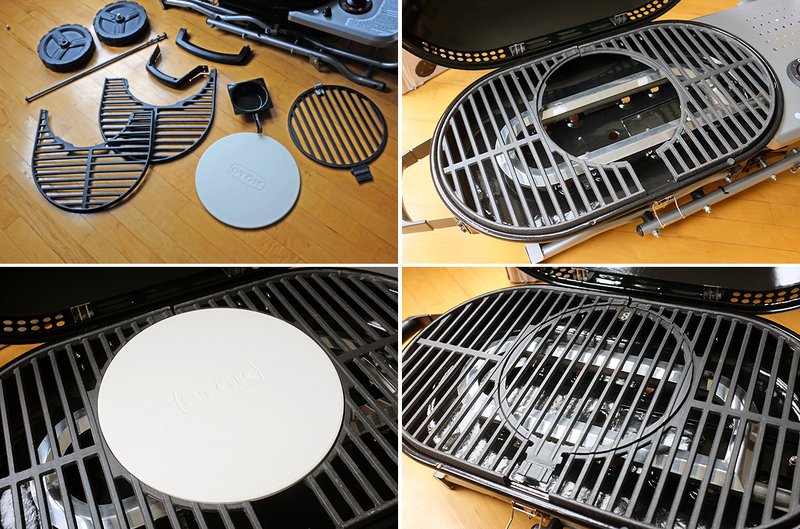 The Gridiron grilling surface is comprised of two end plates and a circular center piece. STOK has designed the grates such that the center can accommodate a variety of cooking surfaces sized to fit the circular opening: pizza stone, kettle, vegetable basket, etc. Both the iron grate and the pizza stone were included with the Gridiron grill. The other accessories are available separately. 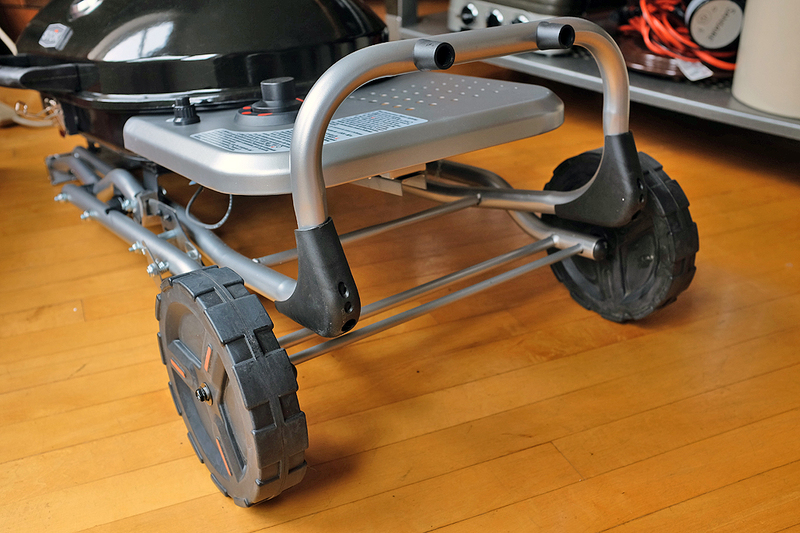 With the wheels on, opening the stand for the grill is a one-person process: step on the locking lever to release the catch, lower the transport handle, and it will spread the support and level the grill. We liked how balanced it felt throughout the process. Easy peasy! The thing we noticed when standing up the Gridiron was the plates inside did not rattle or shift around. When we looked closer at the lid, we discovered three strategically-placed pieces (red arrows) on the lid that held the grates firmly so they don’t move around. Clever. 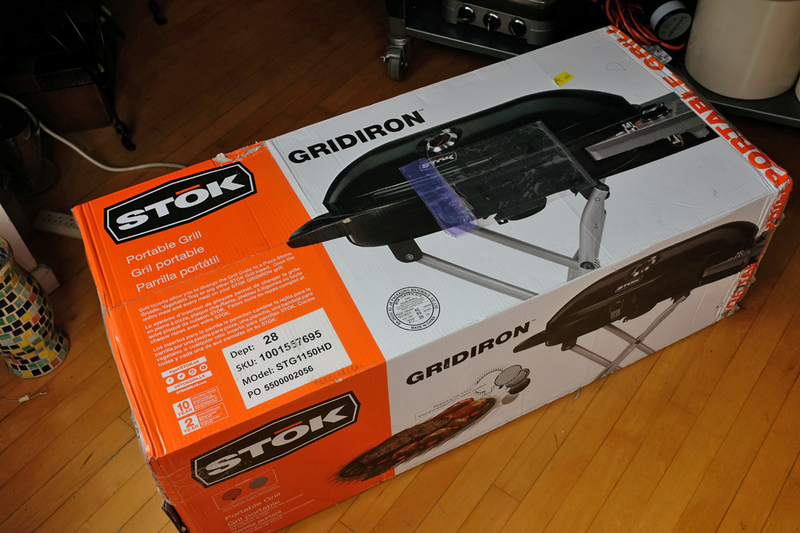 Like the smaller STOK Tourist, the STOK Gridiron portable gas grill is perfect for grilling on the go (camping, tailgating, picnics, etc). We can’t wait for the weekend!! !